Highly trusted Spanish Translation Services by 1000+ certified Spanish Language translators, who deliver exceptional translation in 200+ language pairs for various industries, like, hospitality, tourism, medical, technical, engineering, real estate, healthcare, oil & gas, media, manufacturing, legal and marketing sector. Being one amongst the six official languages of the UN, the language is very much in demand. Hence, a number of organizations outsource translation to cater to the target audience. 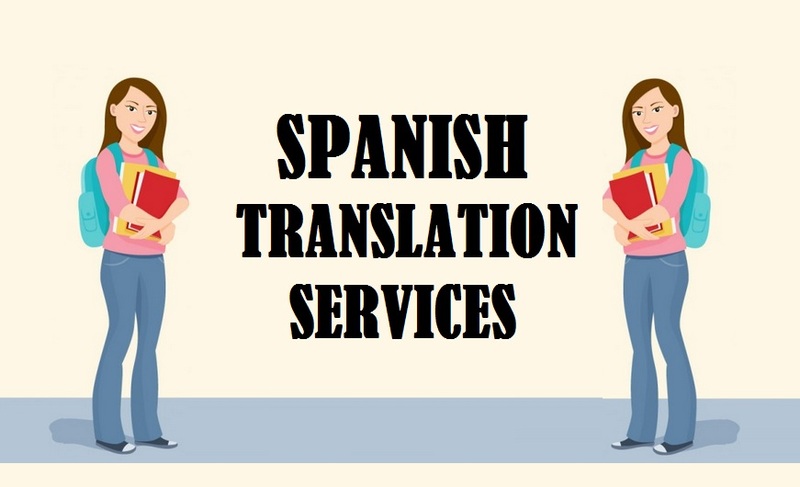 Additionally, we are regarded as the top notch Spanish Translation company in New Delhi UAE India Mumbai Hyderabad Chandigarh Bangalore Kolkata Chennai Amritsar and other locations worldwide. So, if you are looking for a quality output, we are the right platform for you…!! Hook Opportunities: Translation is an easiest resource to leverage an opportunity in the global market. By converting your documents into the target language, it composes a path that directs you towards unrivalled global success. Thus, you should consider translation as your priority and cater to a multilingual worldwide audience. Unambiguous Communication: What is the point in investing so much of time in devising a brand message, if you are unable to communicate the correct meaning of the brand to your target masses? Thus, through accurate translation, you can get access to a perfect and smooth communication that will make sure that the translated text represents exactly what you desire to communicate to your audience. Win-Win State: Another benefit of pristine grade translation is that you are always in a win-win situation. Whether it is about targeting the domestic audience (who may speak an entirely different regional dialect of your native language) or the foreign non-native audience, you can be rest assured that you’ll be able to touch the emotional chord of your audience quite easily. The language is said to have originated in Spain’s Castile region and is widely spoken in Equatorial Guinea, Spain and Hispanic America. It is termed as español and castellano in Spain. There are almost a total of 570 million native speakers of this language. The language has official language status in Equatorial Guinea, Spain and 19 countries in the Americas, totaling around 418 million speakers only in the Americas. The language is also known for adopting several words from languages like, Sardinian, Occitan, Quechua, French, Nahuatl, Italian and varied indigenous languages of the Americas. Castilian is another name for Spanish and is counted among the most spoken romance languages. In the 13th century, Castilian went under standardization. Basically, it started when King Alfonso X of Castile demanded his scribes to get assembled at his court. In 1469, Ferdinand II of Aragon and Isabella I of Castile got married. With their marriage, the two regions came together and they were able to provide financial support to Christopher Columbus voyages. The Queen Isabella was presented with the first Spanish grammar in 1492. It was in the same year that the Spanish Jews were banished from Spain. This gave an opportunity to the Spanish people to spread their culture as well as language beyond the boundaries of their former empire. Further, with the discovery of the Americas (under Spanish patronage), the language was started to be spoken in new lands. As a result of Spanish colonization, the language further became highly popular in varied American and Pacific island groups, viz. Palau, Micronesia, the Philippines, Guam and the Marianas. But, the power of the Spanish empire started getting diminished, as the 17th century came towards an end. Reports state that some of the prime rationales behind this were European colonialism, wars with France and the expansion of varied kingdoms. In the late 1800s, it was observed that adopting the Spanish language for some Spanish-speaking colonies and countries in the Americas was an essential part of immigration process. Some of the colonies and countries were Chile, Argentina, Panama, Venezuela, Uruguay, Cuba, Mexico and Colombia. Further, as per the declaration made by the Caudillo of Spain (Francisco Franco), the language became the only official language of Spain, during the 20th century. In 1960-1970s, however, the parliament allowed Basque, Galician and Catalan as the official languages. But, Spanish is widely used language in business, government, media, education, culture and work. Quality Pervading quality in every sentence; phrase; basically the whole document, is often a big challenge for varied translation companies or freelance translators. Quality has never been a challenge to us. We boast of a talented team of experts, who make sure that the quality of the output is supreme in quality. Our team also performs a stringent quality check on the translated output. Speed The speed of the project delivery or the turnaround time often becomes a maddening challenge for some translation companies. This majorly happens with bulky translation assignments. Whatever be the size of the translation assignment, we deliver the same within committed time frame. Often with large and bulky assignments, we distribute the assignment among professional translators (who specialize in that specific industry). Thus, we are able to deliver the projects within the shortest time frames. Tone Maintaining the style and tone of the source text in the translated output, is often a major challenge for the freelance translators/ translation companies. A minor change in the tone or style can alter the meaning of the text. As mentioned above, we have a talented team of professional translators, who make sure the translated output mirrors the source document, in terms of style, tone, meaning, context and other related parameters. Being a successful business man is not easy. To an outsider, your journey might seem to be just like a cake walk. However, it is only you, who could understand the amount of efforts involved in reaching to the current position. But, do you think you have reached the end? Do you think you have succeeded in attaining all what you always wanted in your professional life? We guess, no; you are yet to achieve more for your business growth. You would now, definitely wish to take on the global route. But, without effective translation, you won’t be able to find victory. In layman words, translation is all about converting a set of words from one language to another. But, it has a deeper meaning and importance that every entrepreneur should understand. For example, you are planning to expand your business in Spain and you belong to some other country, where Spanish is not spoken by even a single individual. Wouldn’t it be a laborious task for you to reach to the Spanish speaking audience, persuading them and attracting them towards your brand? Certainly, it would be. You will have two routes from here – either you step back and cater only those people who speak your language or take the challenge and expand your business in a market, where people do not understand your language. If you do the latter part, we are always there to help you out. Right from your marketing materials, advertisements, technical documents, product descriptions and other allied documents, we can get them translated into/from Spanish in multiple of language pairs. This way, you would be able to break that language barrier and communicate to your non-native audience in their own mother tongue. In turn, the international route will be simplified for you and success would beneath your foot. So, get in touch today, as you are really valuable to us..! !